When you bike to work, you save money, get your daily exercise and avoid traffic congestion. And with a growing trail network, bike-friendly streets and bike racks on DART buses, it’s easier than ever to bike to work in Greater Des Moines. 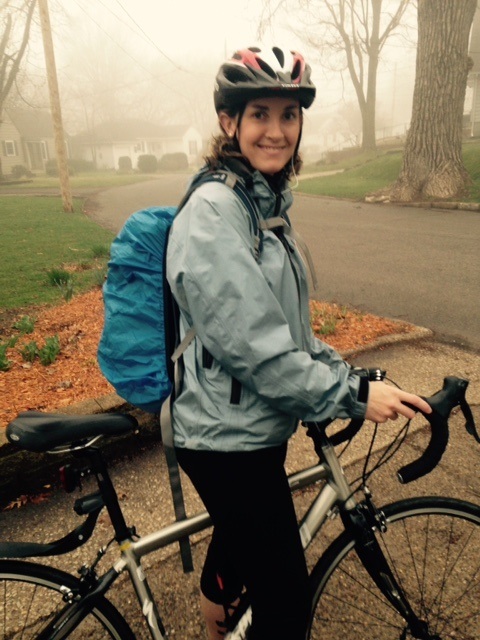 Amber Lewis bikes to work nearly every day – even through the winter months. 1. The obvious: buy a bike. Or repair the one you have. You don’t need an expensive or new bike—just one that works. Amber Lewis, who lives in the Beaverdale area, has been biking to work in Downtown Des Moines since March 2013. “Biking to work seemed like a fun challenge,” said Lewis. “I had an old bike that I had bought for $50, with a seat post that was broken and stuck in a position that was way too low for me.” Lewis commutes three miles each way; biking during the winter on most days. 2. Buy the safety gear. A helmet and reflective gear are necessary for a safe ride to work or any destination on your bike. 3. Learn the hand signals. Lewis says you have to stay alert and aware of your surroundings when biking on the streets. She tries to be predictable and cautious during her commute by signaling well for drivers. 4. Have a back-up plan and prepare for the weather. Check the forecast the night before and know your options for alternative modes of transportation in the event of an emergency. “Figure out if there is a bus route near you that could help if you happen to get stuck somewhere for any reason,” said Lewis. 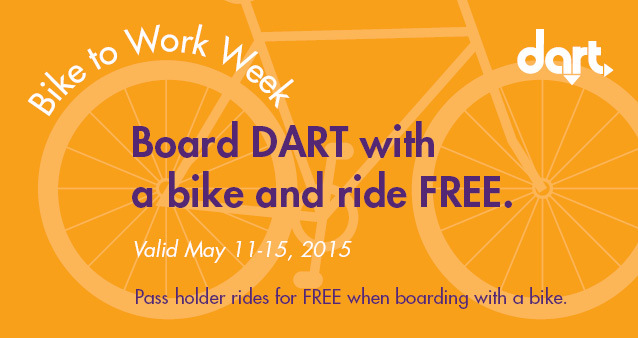 DART has bike racks on all Local, Express and On Call routes, making it easy to bike and ride. 5. Practice your route and routine. Todd Slaymaker, of the Drake neighborhood, bikes 12 miles each way to work in West Des Moines. He rides on both bike paths and residential streets during his commute. “My rule of thumb is not to ride on four-lane roads,” said Slaymaker. Google maps allows you to view bike paths in the Des Moines area and map out when you’ll need to ride on the street or use DART to get to your destination. Ride your route on the weekend and figure out how much time you need to allow for biking and to get ready each morning and afternoon. 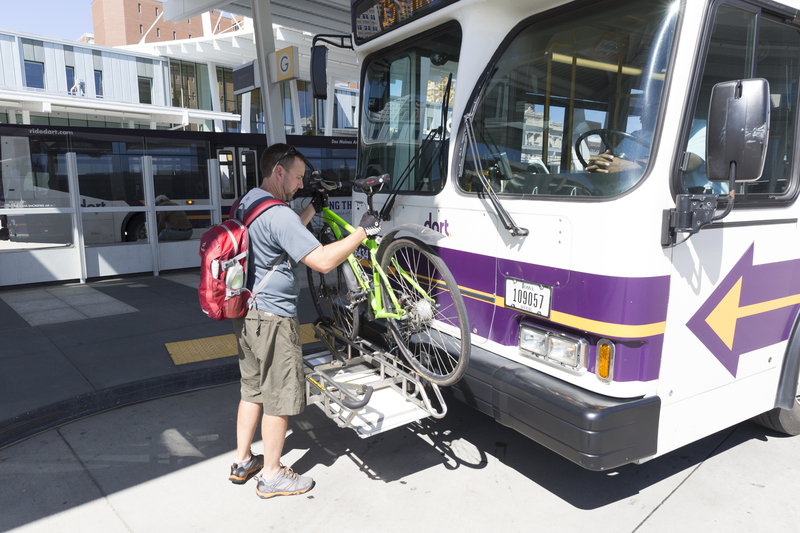 DART Local, Express and On Call buses are equipped with bike racks, making it easy to use public transit as an extension of your commute by bike. 6. Learn minor bike repairs and maintenance. This includes fixing a flat, basic chain care and knowing when it’s time to visit the repair shop. 7. Ask your employer about resources. Chances are, your employer has incentives like bike parking, showers or changing rooms and flex-time schedules for bicyclists. Slaymaker says his employer offers covered bike storage, showers and changing rooms, which he utilizes every day he bikes to work. If you work in the downtown area, DART Central Station has secure, climate controlled bike storage and changing rooms available for a $50 annual fee plus a $50 deposit. Bike to Work Week is May 11 – 15, 2015. Board DART with a bike and ride FREE! 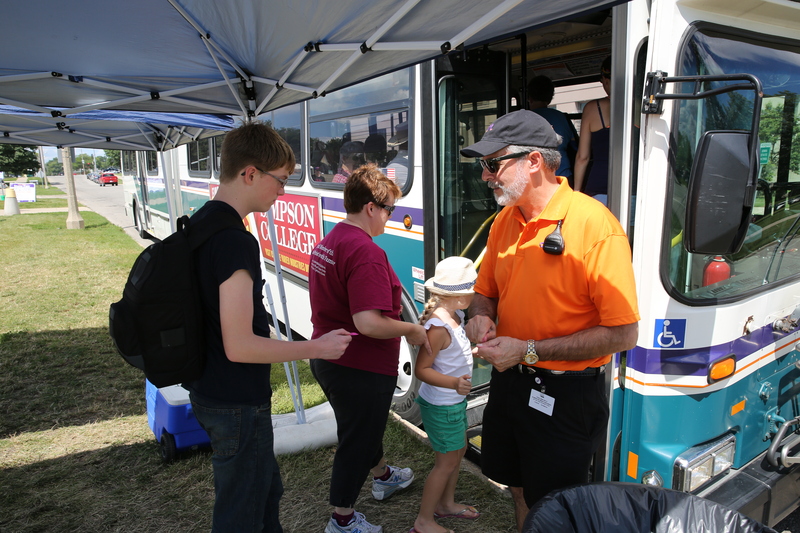 For more information about DART resources for bicyclists, visit ridedart.com. 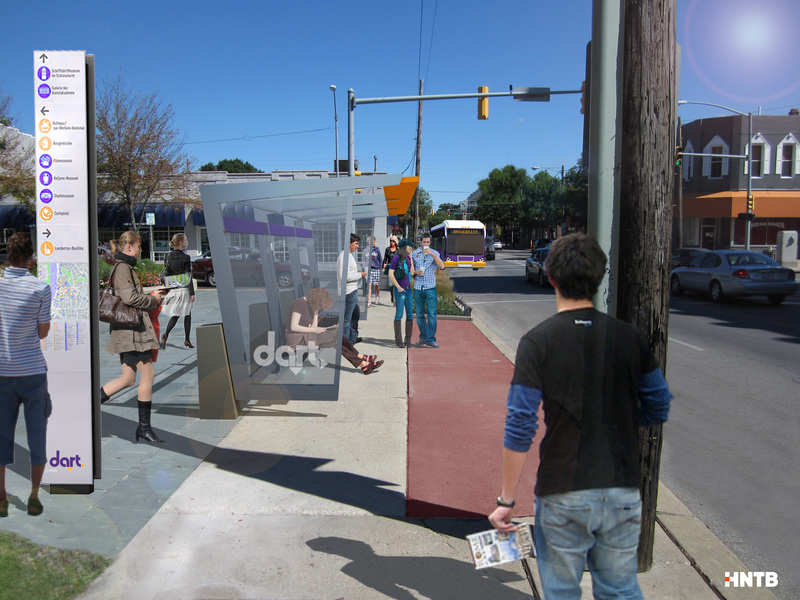 It’s been a while since we’ve given you an update on DART’s Bus Rapid Transit (BRT) project. We have some breaking news to share that will affect the timing of project. As you may recall, DART is planning to apply for a $20 million dollar federal grant for the capital improvements associated with the Ingersoll/University proposed BRT route. 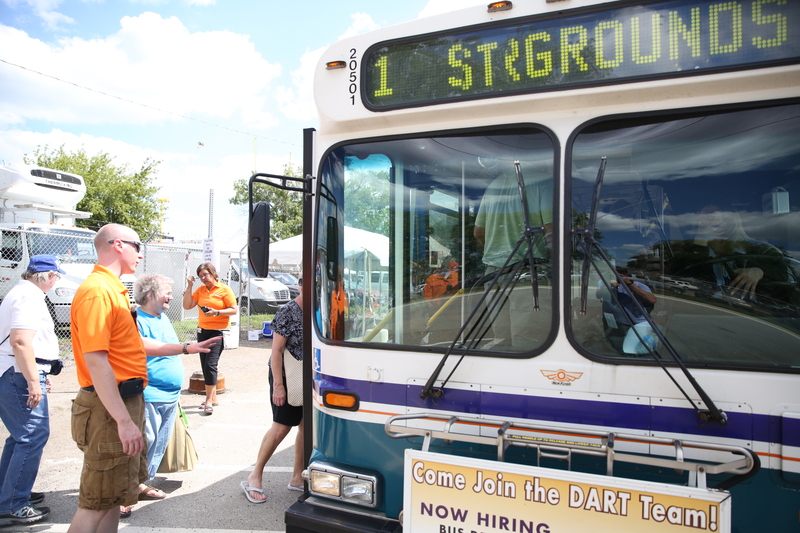 As part of our requirements for that application, DART needs to find a $5 million local match. There was a possibility of receiving $2 million in local match from the state legislature. In budget negotiations this past weekend, that funding was removed from the budget and there’s no longer any reasonable hope for its restoration, at least not this year. 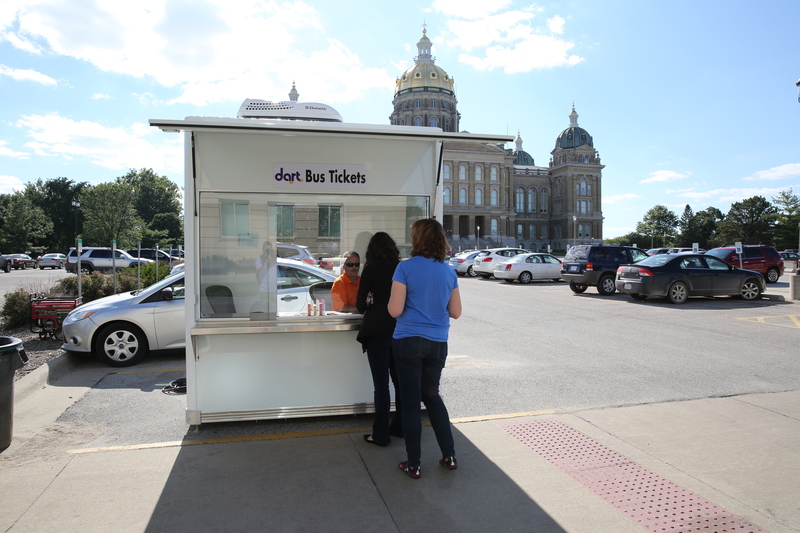 So far, between the City of Des Moines, Polk County, Nationwide and several other companies, DART had already raised about 30% of the total. The money from the State of Iowa would have got us to our goal more quickly. The project is not dead, just delayed. DART still has plenty of support for the project and BRT is still a goal for us. And in the meantime, we have a lot of groundwork to lay and documentation to gather for the FTA Very Small Starts grant application. So we’re still marching in that direction, we just won’t be able to file the grant as soon as we thought. The DART Commission is still supportive of the idea and we’ll redouble our efforts to raise the local match. 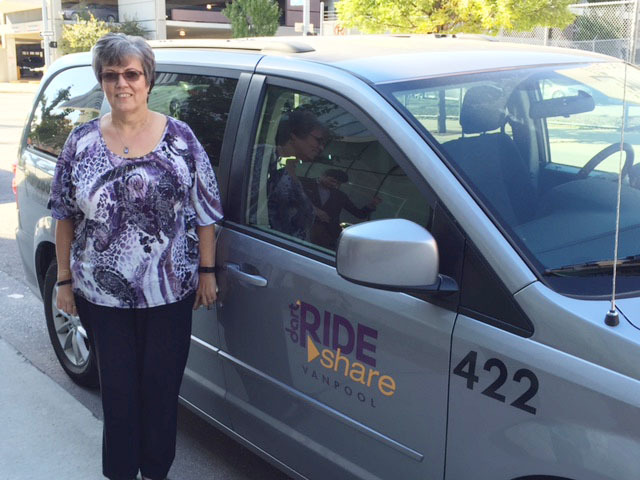 It’s a great project with a ton of benefits for the citizens of Des Moines and employers to boot. So, stay tuned and we will let you know what happens. Or, follow the local coverage in the news for the most recent updates. Here’s a recent blog post in the Register. Thanks to all of you DART supporters out there who came to public meetings to support the idea. We’re still committed to making Bus Rapid Transit a reality in Greater Des Moines.